Produce beats, play virtual instruments, and trigger sound effects and loops with unsurpassed expressiveness and flexibility! Both a compact, dynamic performance controller and a tightly integrated production environment, PreSonus®’ ATOM pad controller and included Studio One® Artist production software let you create and perform with ease. 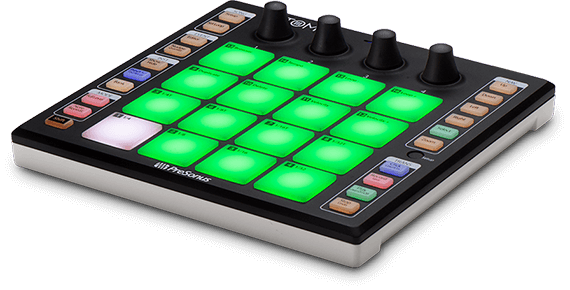 The most versatile pad controller in its class, ATOM is compatible with most music software and lets you perform and produce with virtual instruments and trigger samples and loops in real-time, using 16 full-size, velocity- and pressure-sensitive RGB pads and 8 assignable pad banks. Learn more about ATOM’s tight integration with Studio One. 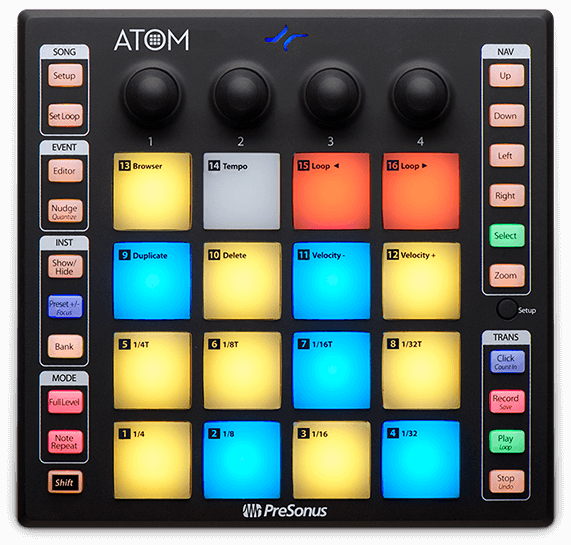 ATOM comes with PreSonus’ powerful, yet easy-to-use Studio One® Artist recording and production software for Mac® and Windows®. Studio One enables you to compose, record, and produce your masterpiece without getting distracted by the tools, thanks to a straightforward design, a powerful file browser with extensive use of drag-and-drop, in-depth editing, and an Arranger Track that lets you experiment without losing previous work. It’s inherently Internet-savvy; comes with a wealth of effects plug-ins, virtual instruments, and loops; and can be expanded with Add-ons. Sure, ATOM is a great production pad controller but it’s an instrument controller too. 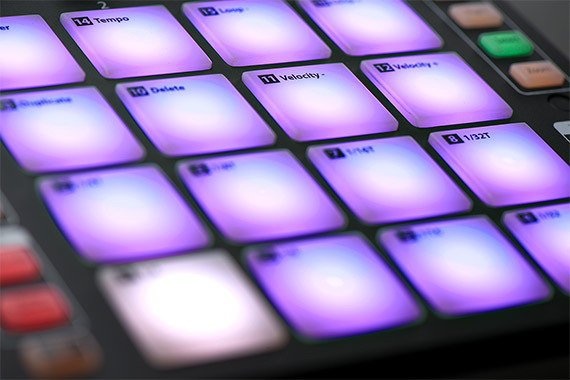 Use the velocity- and pressure-sensitive pads to play your virtual instruments live, with incredible expressiveness. Set up pad banks for a full virtual drum set and perform beats that will energize any crowd. Even play multiple ATOMs at once to put on an exciting live show. You’ll love ATOM’s expressive pads and flexible controls. Its tight integration with Studio One will open up your production environment and speed up your workflow, and you get a wealth of virtual instruments, loops, and drum kits with Studio One to fuel your creativity. But we wanted to give you more, so we worked with MVP Loops to deliver a carefully curated loop and one-shot library custom-designed for ATOM. Still not enough? 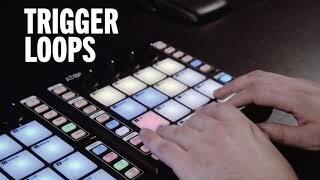 You can buy even more content from the PreSonus Shop. Check out ATOM and Studio One at your favorite PreSonus dealer today! 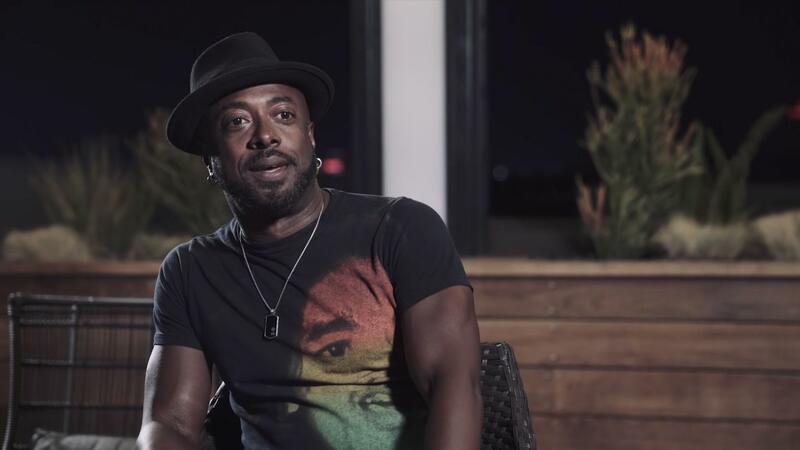 Read more about Studio One Artist. PreSonus ATOM is not only a lightweight and portable drum pad controller but the perfect complement for beat production with Studio One 4. I’d highly recommend this unit to the singer-songwriter that needs to make quality demos, yet doesn’t have the space or means to record a full drum kit. Für alle, die ohnehin schon mit Studio One arbeiten oder gar mit Studio One als DAW liebäugeln, heißt es: bedenkenlos zugreifen! The Atom is very sturdy and the pads are great, it is of excellent build quality. Die Arbeit mit „Studio One“ erleichtert es alle mal. Und das Arbeiten grade mit „Impact XT“ macht damit auch richtig Spaß. Mit dem Atom eine sehr dynamische Pad-Einheit, die sich dazu noch einfach bedienen lässt. 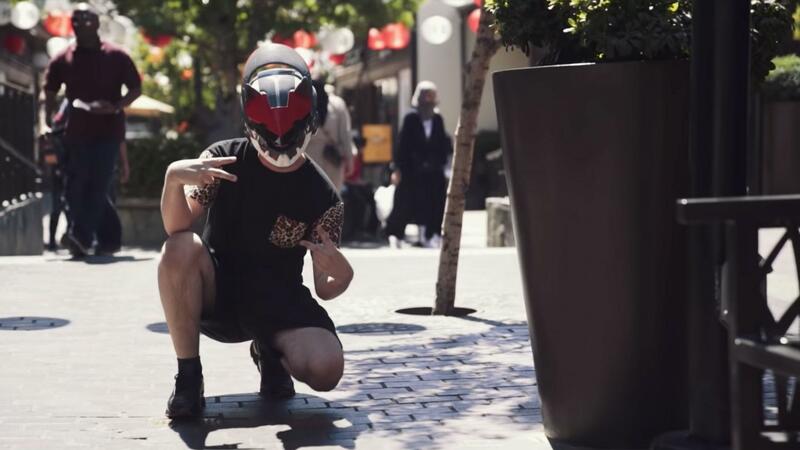 ...a little powerhouse of pad‑oriented control.